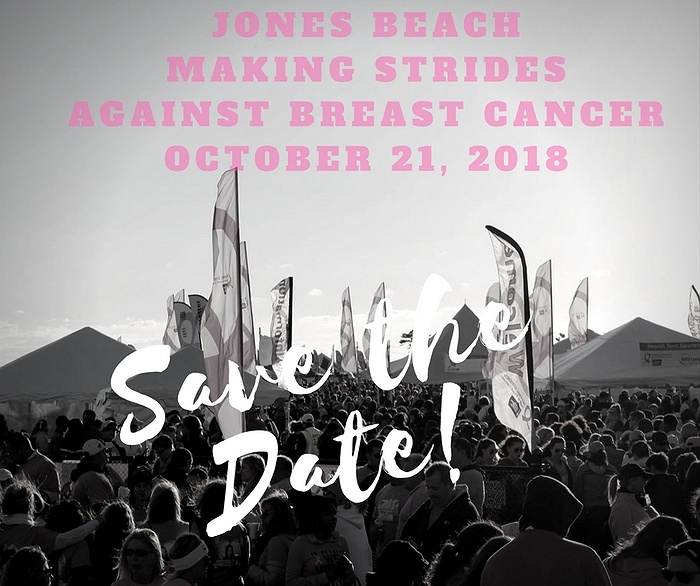 Subject: LongIsland.com - Your Name sent you Event details of "Making Strides Against Breast Cancer Kickoff"
At the kickoff event, you will learn more about our upcoming Making Strides Against Breast Cancer walk, which will be held on Sunday, October 21, 2018 at Jones Beach State Park-Field 5. If you're thinking of starting a team, the Making Strides Kickoff is a great opportunity to learn more. If you've already decided that you want to make a difference for those facing breast cancer, the kickoff will help you be the most successful team leader you can possibly be. RSVP by July 31, 2018 to reserve your seat. You won't want to miss it!